Unlike many app creators, mobile development studio Sago Mini has carved out a unique niche in Apple’s crowded iOS App Store: simple games designed from the ground up for children. 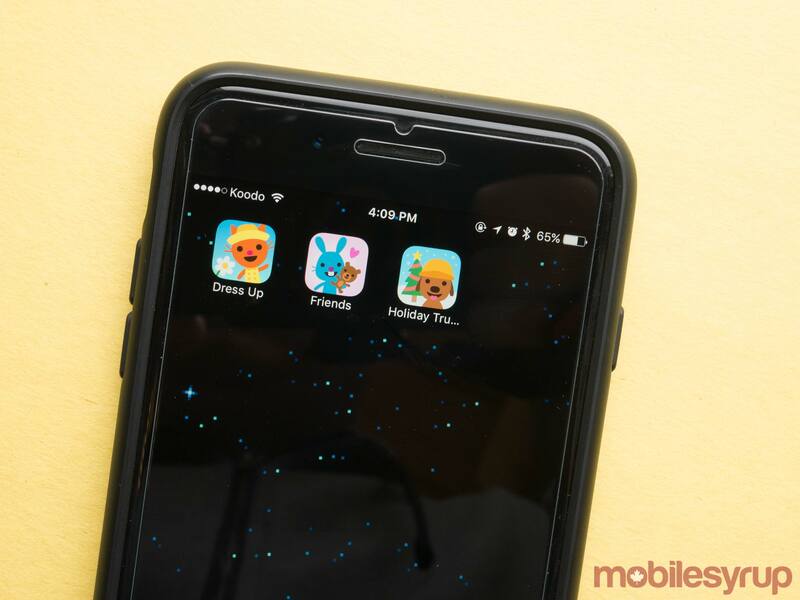 The Toronto-based studio behind popular children’s iOS games such as Town, Puppy Preschool, Holiday Trucks, Trucks and Diggers and the aptly named Planes, sits in a league of its own in the App Store, amassing an impressive 20 million downloads, with 2.5 million active users across 30 different titles, with some paid and free-to-play offerings. Also, unlike many app developers, most of Sago Mini’s player base is primarily on the iPad, amounting to approximately two-thirds of all its users. Jason Krogh, Sago Mini’s CEO, describes his studio’s titles as the type of games you have to “feel your way though,” a shift from the way many mobile video games are typically structured that he says is intentional. Krogh believes that the way many children figure out how to play is through experimentation and trying new things, and this is the same feeling his studio aims to evoke with its games. 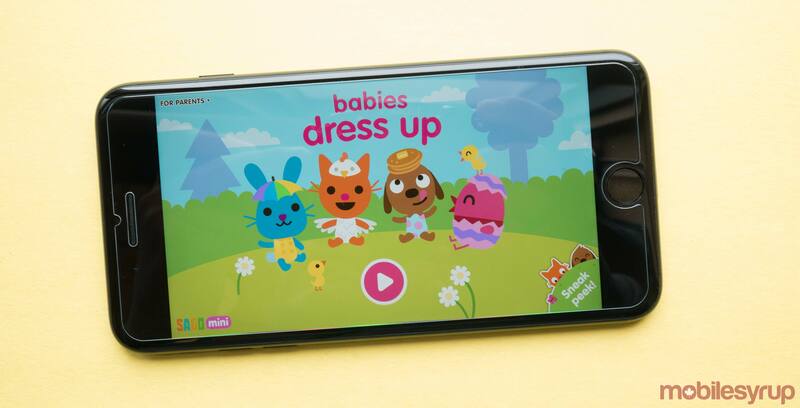 “We’re a digital toy studio, so we actually develop apps for young children ages two to four. This is actually a very interesting, unique market. We’ve been doing this for about four years and have published about 20 titles during this time… We develop apps that are very much for the fun of it with open-ended play,” said Krogh. Even the studio’s recently launched physical toys — which don’t directly interact with Sago Mini titles like many so-called ‘toys-to-life’ franchises — are developed by the small independent studio in-house. Rather than opting for the NFC connected route of blockbuster series like Lego Dimensions or Skylanders, Sago Minis’ toys, which consist of stuffed animals and play sets, are just finely crafted physical toys. This harkens back to a begone era before almost all children’s toys were expected to be ‘connected’ in some way, whether through Bluetooth, Wi-Fi or NFC. Developing an app for children, however, is a very different process from creating one that targets a more general audience, according to Krogh. “Most people have pretty fuzzy memories of when they were three years old. Our audience really can’t read. Instructions aren’t going to be of use. They like to feel their way through things and sort of experiment, so I always consider our work sort of a lean version of UX (user experience) design… We looked at the way kids play with physical toys and we kind of replicate a lot of that stuff in digital form,” said Krogh. In terms of Apple’s World Wide Developers Conference (WWDC), Krogh says that the event is “a very good chance to reorient ourselves with what Apple is working on.” Whether it’s the launch of a new version of iOS that has the potential to add unique functionality to Sago Mini’s future or current projects, or an entirely new platform, attending Apple’s annual developer conference gives the small, Canadian developer integral insight into the platform it creates content for. Krogh says that moving forward, his studio plans to launch a subscription service related to its various games and hopes to connect with other developers at this year’s WWDC who are already offering similar features to their customers. Sago Mini is also planning an expansion into the European market as well, so meeting with Apple’s international marketing team is also a goal for the developer when it comes to WWDC 2017. In this ongoing series of features, leading up to Apple’s 2017 World Wide Developer Conference (WWDC) MobileSyrup will highlight key Canadian developers headed down to the annual event.